And On to the Coyote State! While writing this short post I came across a website dedicated to the history of the U.S. (non-Interstate) Highway System. 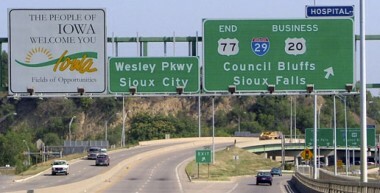 The history of the highway sign and the Highway 60 66 Controversy. Check it out.